This topic contains 7 replies, has 2 voices, and was last updated by yobo 28d. I was crazy looking the reason why the popup newsletter module was not sending emails when a customer register in the newsletter, voucher email, etc. 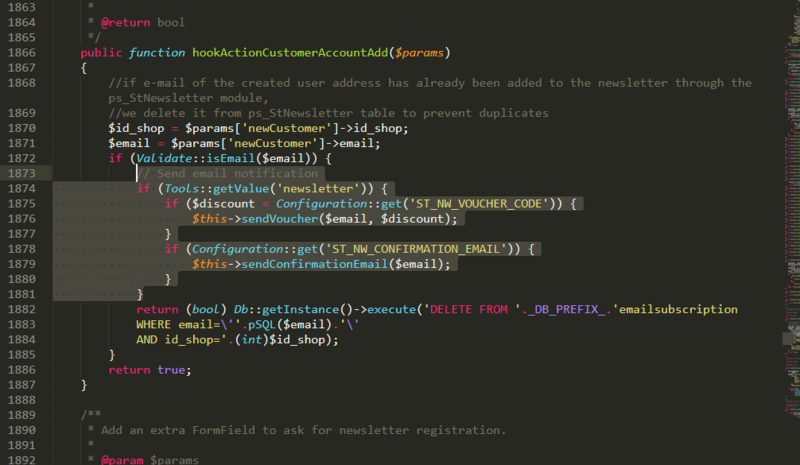 I found that this is a Prestashop bug that is happening too with default ps_emailsubscription module. This bug is still not fixed by Prestashop, but someone posted a fix on github that is also working with the Transformer popup newsletter module. Just need to add this code in the file stnewsletter.php of the module /stnewsletter. Just add as say in the github page. This topic was modified Mar 17 by Zuzoto. Thanks reported the bug. I fixed it in my “Newsletter popup” module, that will be included in the next udpate. Yes, customers who ticked the “Newsletter” option can get the notification in my fixation. Can you please share the fix or the file so I can fix on my site? Thanks yobo, now working perfect! !